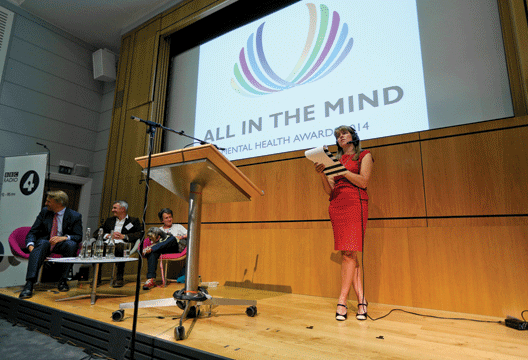 BBC Radio 4’s All in the Mind is encouraging nominations of particularly inspirational individuals, groups and professionals for its 2016 awards. Its presenter Claudia Hammond spoke to The Psychologist about the 2014 winners, the difficulty of judging this type of award, and the incredible stories of individual support she has encountered throughout the process. The All in the Mind Awards are split into three categories honouring an individual, professional and group seen as outstanding in supporting people with mental health difficulties. Among the previous winners were Brighton’s MindOut, a service run by and for the LGBTQ community, and Steve McDonagh who was nominated by his employee Andrew King for support given to him both in and out of the workplace. The deadline for nominations is midnight on 31 January 2016 – see tinyurl.com/aitmaward16. Awards will be announced during a ceremony at the Wellcome Collection in London on 27 June 2016.